If you’re planning to visit Berlin, even for a short time, make sure to include at least one Sunday in your itinerary. 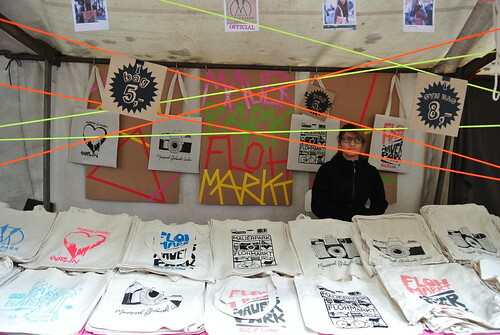 It’s the only time of week when Flohmarkt am Mauerpark is open, and I assure you you’ll be sorry if you miss it. Located just a bit north of Berlin, in Prenzlauer Berg district to be exact, Mauerpark Flea Market will satisfy your old soul with oceans of antiques and other quirky stuff that you could imagine. You can never have too many door knobs. 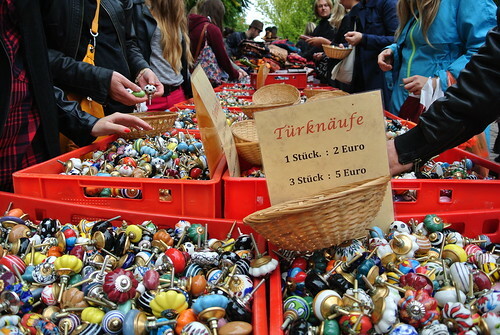 Berlin has many flea markets scattered around the city and Mauerpark is actually a relatively new one. But as a first timer in Berlin I was so impressed. Arriving at the main gate very late in the afternoon, I saw people were swarming and they all looked somewhat local. 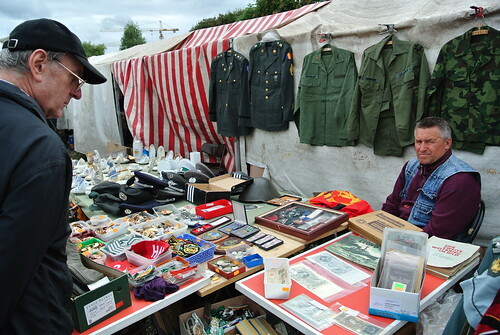 Old watches, shoes, coats, chinas, records, art posters, furnitures, war memorabilia, and other unidentified objects were spilling onto the footpaths from the otherwise neatly organized stalls. Having arrived from Prague just a few hours earlier, I only had very little Euros. So no shopping for me. Instead, I dedicated my time to just browse around and take the atmosphere in. And soon enough I noticed that the crowd in Mauerpark was actually just as antique as the knick knacks flooding the place. Berliners were definitely one stylish bunch. I supposed flea markets attracted a certain type of crowd, definitely not the ones strutting in Loubutin or Gucci. They were the beer-drinker free souls who wear vegan clothes, crossbody knit hobo bags, braided hair and they looked like they were ready to give you a hug if you needed one. I looked down at my clothes and pat myself on the back for leaving my fancy trench coat back in the hotel and wearing my green army jacket and an autumn dress underneath. I was glad I wasn’t a sore thumb that day. 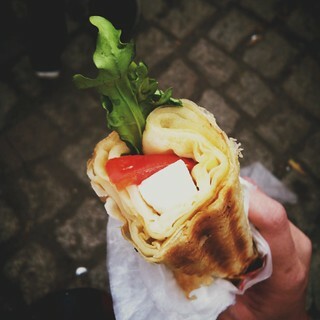 Anyway, as I went deeper into the market I discovered two Turkish food trucks with the most delicious smell. They had salads with plenty of olives, sandwiches, and all kinds of dishes that made my stomach growl. Unfortunately the lady wouldn’t let me take pictures (This happens to me a lot lately). After a long and hard thought, I bought myself a this warm sandwich. I swear it was so good that I almost turned into a vegetarian.